Seeing eye dogs make great companions for the visually impaired, but what if there was one that didn’t need to be fed or cleaned up after? Sixteen-year-old Maia Dua created one: a seeing eye robot that can do everything a dog can, without the expensive and lengthy training. Her invention beat out a thousand other entries to win Marvel’s Captain America: Civil War — Girls Performing the Future Challenge. The California high school student was inspired to create a robotic aid for the visually impaired after she heard about the high cost of raising and training seeing eye dogs. Compared to the $50,000 expense of breeding and training seeing eye dogs, and then connecting them with visually impaired owners, Dua’s invention costs just $600. She built her robot in four days, a tiny fraction of the time it takes to train a companion animal. 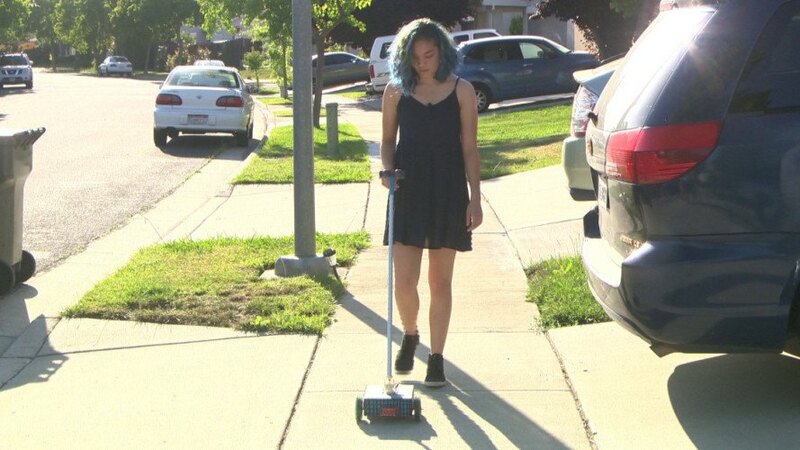 The wheeled robot has a long handle and looks a bit like those non-electric carpet sweepers used at movie theaters. The device is equipped with a series of sensors that detect nearing objects and beeps to alert the user. The seeing eye robot can’t replace a trained animal companion, as it lacks the ability to scope out a situation and make decisions (such as at a crosswalk). However, in simple surroundings, the robot can give a hardworking dog a much needed break. The design competition, open only to girls aged 15 to 18 enrolled in 10th to 12th grades, awarded each participant with a $500 savings account from sponsor Synchrony Bank. Dua, the grand prize winner, won an internship at Marvel Studios. Although the contest backers advertised the challenge as a means to empower girls in STEM fields, critics say Marvel (a Disney-owned company) would have had a greater impact by simply putting more female characters in their movies. Sixteen-year-old Maia Dua won Marvel's Captain America Civil War Challenge with a seeing eye robot she built in just four days.